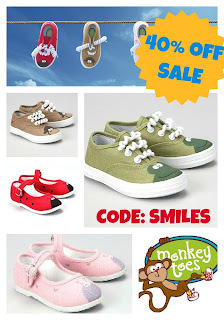 monkey-toes: SUPER MONKEY TOES 40% SALE! 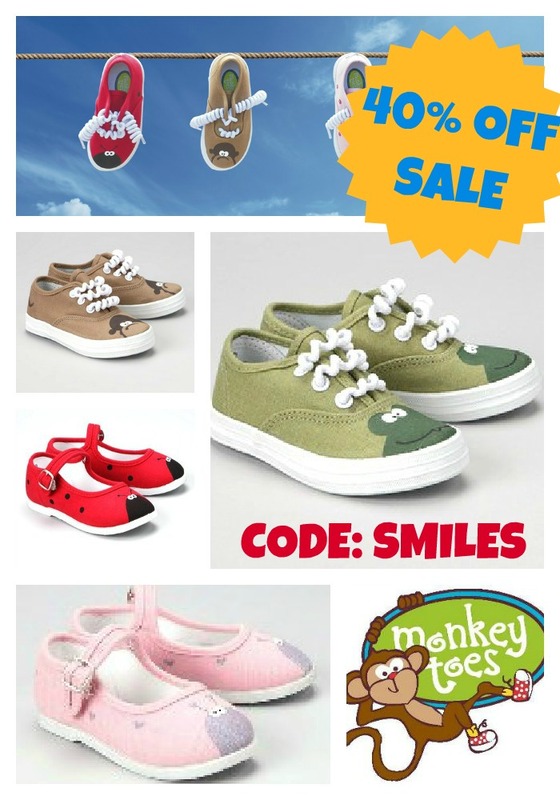 SUPER MONKEY TOES 40% SALE! Ya, I yelled it. And you should be jumping on the couch Tom Cruise style (oops, is this a controversial topic right now???). Because I'm a "fly by the seat of my pants" kinda gal I feel like having a quick sale on the inventory I have in stock. What would you think about 40% off? You like? Having extra inventory around my office doesn't make your kiddos smile, and jump, and run with cuter shoes on their toes, so I'm spreading the smiley love. PSST....don't be a hoarder. Pass it on - Pin it, Tweet it, Facebook it, print flyers, rent a billboard...Spread the word! Post your favorite Monkey Toes pics to our fan page!